I never thought I could love an animal as much as I love my Maggie Mae. She is, without a doubt, my best friend and my biggest fan. She will follow me anywhere, is totally devoted to me–even when I scold her. Maggie Mae loves me unconditionally. She’s a black and white Parti-Toy Poodle and the joy of my life. When I first saw her, her outgoing personality attracted me, and I knew right away that she was mine. But maybe it was the other way around and she chose me. Nearly eleven years ago, when she came to live with me, she was three months old and weighed only three pounds. I can’t imagine my life without her. She’s a wonderful companion, and she makes me laugh. She can be sound asleep, but if the phone rings and I answer, she is by my side in a minute so I will play with her. When I say to her, “You’re the best girl I know,” she always rewards me with a kiss. They say that dogs are man’s best friend, and they’re not kidding. When a fly is buzzing around the house, she’s right there to alert me and to guard me. She alerts me when I have accidentally left the front door ajar or if there’s something in the wrong place. And then there is Maggie Mae neighborhood watchdog. She can spot a car blocks away and frequently knows who’s in it. As a perennial single person, I have lived alone for most of my adult life, and it is easy for a single person to become self-indulgent. Having to think about the well-being and care of another were valuable changes for me. That’s one reason I’m so grateful for Maggie Mae’s presence in my life. She also keeps me healthy. No matter what the weather, I am outside with Maggie Mae at least three times a day. We take long walks that are good for both of us–and not just physically. I often get good ideas as we walk. One was her Maggie Mae Pup Reporter column that many of you read in this magazine for years. I’m also grateful because she has made my life more interesting. I learned to write from a dog’s point of view. As many of you readers know, Maggie Mae is “personable” and well-known by merchants in town. She has high self-esteem, which shows in the way she carries herself and walks down our streets and into the shops as if she owned Chappaqua. Other people notice her, and I could not have been more proud when Sophie Mendelson included her in the Chappaqua Children’s Book Festival mural in the center of town. Maggie Mae loves to ride in the car and is a great traveling companion who’s always happy with whatever we do. Since she was a puppy, she’s been a regular guest at the Red Lion Inn and has many fans in Stockbridge and the Berkshires. As much as Maggie Mae loves to snuggle up next to me, especially when I am doing something that doesn’t include her, she is an independent dog who often likes to be alone. She’ll go into her crate, lie on her bed or find a square of sunlight on the carpet just to chill. My heart is bigger than I ever thought. I love Maggie Mae’s little kisses, how she curls up at my feet to give me a hug. How she puts her head under my hand so I can pet her. I love her wagging tail and how she waits for me at the door. So little can make her happy and that is a lesson we can all learn. And as I was writing this, she came up to me, leaned in, pushed my pad and pen away and climbed on my lap. I can’t imagine life without Maggie Mae. She’s my girl and I love her dearly. Overwhelmed by the unfathomable loss of September 11, 2001, Mindy Kombert began to sketch boxes to represent each life lost. 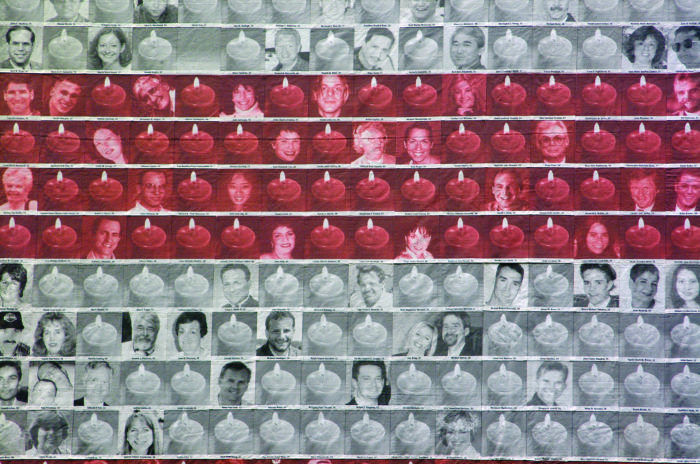 The sketch became a blueprint for the Flag of Remembrance that has found a permanent home at the 9/11 Memorial & Museum in New York City, where it is currently on exhibit. The 20-foot-by-27-foot masterpiece created by Kombert and Sherry Kronenfeld, both Chappaqua residents was a labor of love that gave these women a way to process the events of that fateful day. They suspended their business and formed a committee that grew into a not-for-profit. “It was very difficult initially, we met at my kitchen table,” says Kombert. “We had no idea what it would cost. 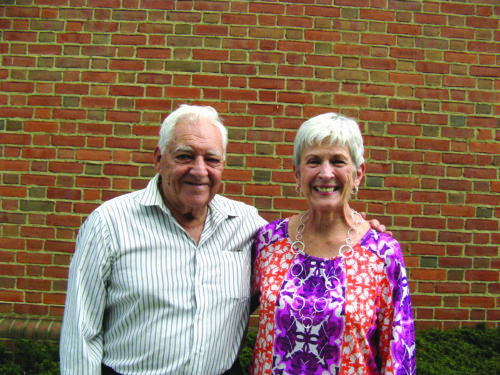 “They found an anonymous donor to fund the project and received donations of materials and printing services. 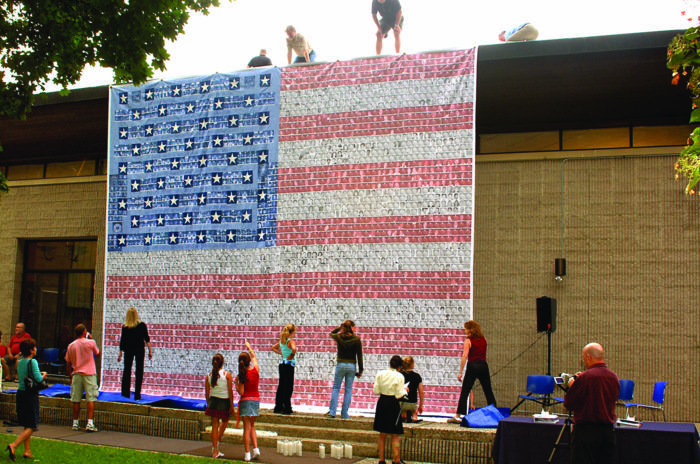 “I took the skills I had, quilting and graphic design, and it evolved into a monument two stories high,” says Kombert. Kronenfeld did the press releases, the media outreach, the contacts and relationships with companies. She contacted all the World Trade Center companies who lost large numbers of employees and the city agencies (FDNY, NYPD, etc.) who lost first responders–to make sure as many people as possible knew about the project. 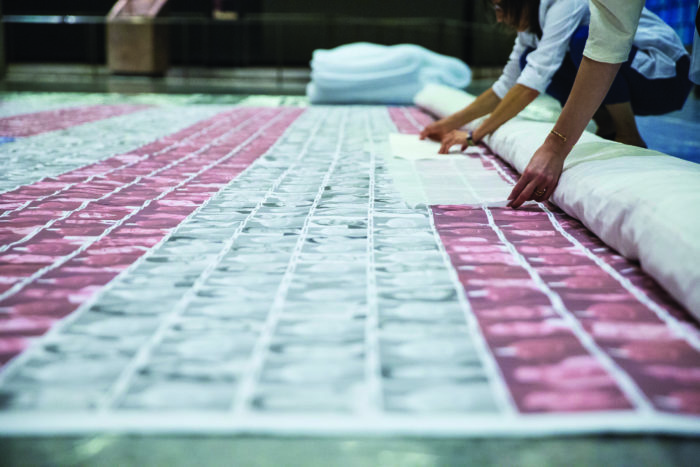 The Flag was made by transferring victims’ photographs to individual pieces of fabric. The blue field with white stars was dedicated to uniformed first responders while the stripes of white and red were reserved for civilians. Each victim’s name and age were included. An image of a memorial candle accounted for those whom photographs were unavailable. Deeded to the Museum in 2007, the Flag is now part of the museum’s permanent collection. Kombert kept it folded under her bed in Chappaqua for many years until it was transferred to the Museum’s conservation facility to ready it for the Museum. 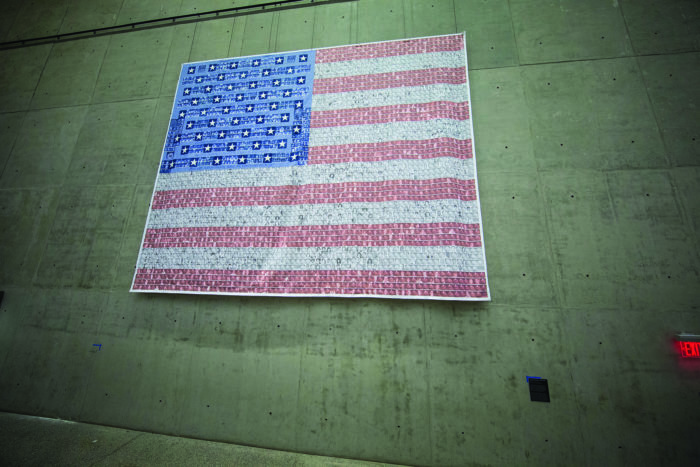 The Flag will hang for one year and then fall into a rotation schedule with other large works in the collection. “My hope is that it will be loaned or travel,” says Kombert. 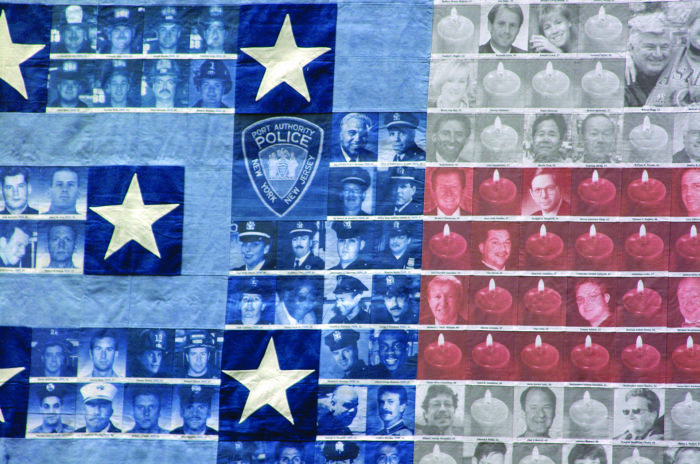 In addition to its debut at the Chappaqua Library in 2004, the red, white and blue muted-toned flag has been on display at the Kensico Dam memorial The Rising, the Liberty Plaza Marriott, John Jay College of Criminal Justice and the Doral Arrowwood Westchester. “The project itself was gratifying, as we felt all along that we were doing everything we could to pay tribute and forever remember the victims of 9/11,” says Kronenfeld. For more information, please visit www.911memorial.org. 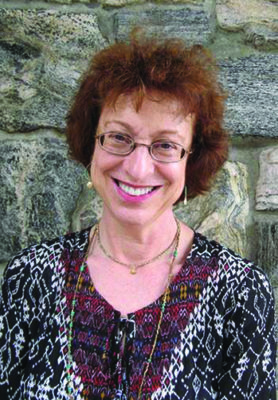 Chappaqua author Barbara Dee has her finger on the pulse of older kids, and she knows what they are thinking about. For more than a decade Dee’s popular books for middle-grade students have been on the right track with topics that interest kids. As the market for children’s books has evolved so have Dee’s books. 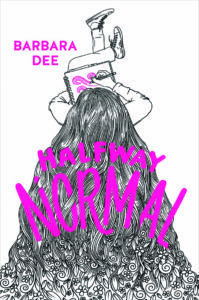 From her debut novel, Just Another Day in My Insanely Real Life, to her latest Halfway Normal, Dee’s writing has gotten more serious, yet she has consistently maintained her trademark sense of humor. For many of Dee’s books, resilience and empathy are themes. Such is the case for Halfway Normal, a story about 12-year-old Norah Levy who returns to school after two years of treatment for leukemia. Dee wrote from her own experience as a Memorial Sloan Kettering mom whose child was undergoing treatment. She also spoke to girls who were survivors. 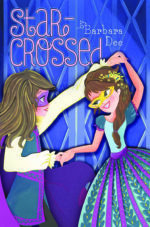 Dee is thrilled that this book has been chosen as a Junior Library Guild title, a first for her. Dee hears from a lot of her readers and the range of her audience has surprised her. She has discovered that teens and adults have been reading middle-grade books. A Wrinkle in Time, Island of the Blue Dolphins and Harriet the Spy. Now she reads a lot of contemporary fiction. But her readers would be most surprised to discover that she is obsessed with the English rock band Radiohead and has been to their concerts. 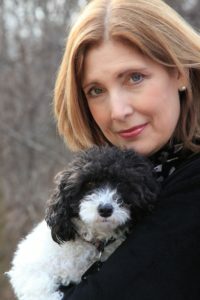 Barbara Dee will be giving a talk and signing her books at the Chappaqua Library on Thursday, September 14 at 4 p.m. On October 14, 10 a.m. to 4 p.m., you can also find Dee greeting young and old alike at her table at the Chappaqua Children’s Book Festival.